To create our engaging, diverse library we benefit greatly from donations – but not only the financial kind! We also value people giving us their time, their expertise and their creativity. 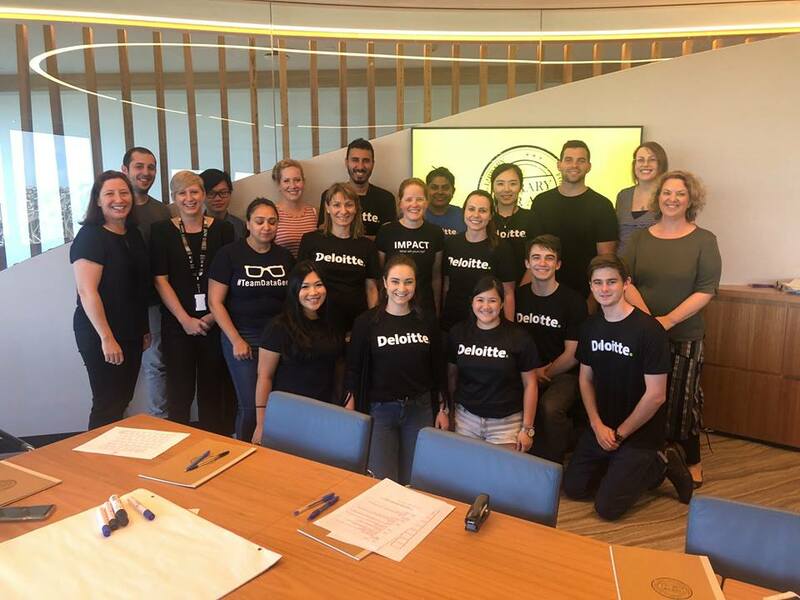 On Friday 16th November we reaped the benefits of Deloitte Australia’s Impact Day, where staff across the country down tools to engage in community activities. Deloitte provides audit, economics, financial advisory, human capital, tax and technology services across a network of offices around Australia. 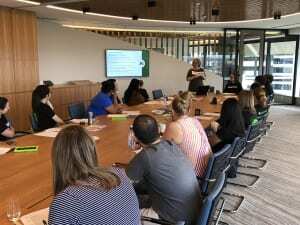 A group of their enthusiastic, switched on business brains joined us for a writers’ workshop and strategy session at the Deloitte Brisbane headquarters. Setting up for the day in one of the Deloitte conference rooms it was hard not to feel optimistic. 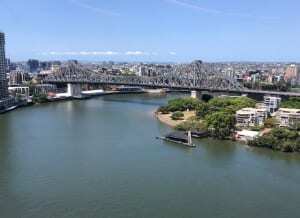 The energy and the curiosity of the workshop participants was evident from the first moments we met to enjoy the stunning Brisbane panorama from the riverside location. Library For All CEO Rebecca McDonald began the workshop event with an overview of the LFA story and mission. Lara Cain Gray (LFA Senior Research Librarian) then shared some background on the children’s writing industry, including what makes a truly great book for kids. 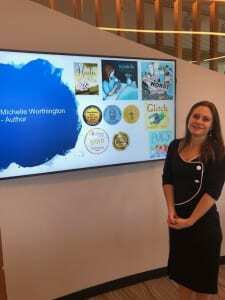 To add value to the session, LFA supporter and successful published author Michelle Worthington spoke about her journey as a writer and showcased some of her popular picture books to inspire the room. After morning tea, it was down to business! The participant group included some hobby-writers, but many who had never attempted writing a children’s book before. Lara guided them through structural templates, story starters and ways to create an engaging beginning, middle and end for children. The group looked at examples of LFA books, as well as best-selling titles from the Australian market, slowly developing unique book concepts to meet the LFA publishing brief. Lunch gave the group a well-earned rest, although several participants were so keen they stayed in the room and kept writing! The day continued with group story sharing and one-on-one discussion of ideas, culminating in over 20 draft stories submitted by afternoon tea. These stories will be reviewed by the LFA editorial team and several will be selected for publication. Participant feedback suggested the writers’ workshop was a refreshing break from the normal work routine and an interesting way to engage with the broader mission of Library For All. Staff enjoyed the chance to get creative with colleagues and meet people from other parts of the organisation, as well as seeing children’s books in a new light. Attendees also highlighted the potential benefits of the session to their ‘corporate storytelling’ responsibilities and the high-level communication skills in need across many workplaces and projects. In the day’s last sitting, LFA asked the Deloitte team to work with us on strategy and development. The varied skillsets and fields of expertise in the room included project management, accountancy, advisors and consultants, ensuring a sophisticated level of input to our questions around ways to monetise, promote and advocate for our Library. Library For All was proud to share our story with a room of savvy professionals who were keen to help us in any way they could. We’re particularly grateful that this group also shared their stories with us, providing fresh content for the Library and productive strategy ideas that we can take forward in the new year.